Frequent Urination With Diabetes-What is the Link With Being Thirsty? You’ve noticed that you’re peeing more than usual. Frequent urination may be a sign of early diabetes. There is a connection between diabetes and your bladder so getting to your doctor to have it checked out is a wise choice. It’s not something you want to put off. The sooner you know and do something the better. Diabetes is something that you must know a lot about and the more you know and the sooner you act on possible symptoms, the easier you will make it for yourself in dealing with his horrible disease. Diabetes is what is responsible for your body in using or creating your insulin. So just what is the reason why diabetes causes frequent urination? It’s all about your body and its’ ability to not create insulin or having issues using it. Insulin is responsible for delivering glucose into your cells to be used as energy and this creates high blood glucose levels. Your kidneys suffer when you’re producing excess sugar in your bloodstream because they must work overtime to process the extra amounts of sugar and if your kidneys cannot do the job, a good deal of that sugar is excreted from your body through urination. But at the same time that you are excreting the glucose, you are also losing other fluids that are crucial for your body to perform and this can result in dehydration. This is obviously not good and if your urination is more than what’s normal (6-7 times in a 24 hour period) than you should be concerned. One of the biggest red flags is if you are getting up to pee at night and especially if it’s more than once, then you are expending your levels of energy. It wakes you up and may make it harder to fall back to sleep and this can give you a feeling of fatigue throughout your day upon waking. I know for me, it was getting up several times a night to urinate which was annoying enough, but as my blood sugars began to be controlled better, it’s only once now, but still one time more than I need to be getting up to pee in the middle of the night. Once I was diagnosed with type 2 diabetes, frequent urination was just one of the symptoms, but an obvious one at that. Urinating frequently is just a tell tale sign of type 1 and type 2 diabetes. It’s just the way your body handles eliminating the excess sugar. Frequent urination is also known as polyuria. Now this is something to be concerned about as far as diabetes goes. It may not be as significant as failure of your kidneys, heart disease, stroke, amputation, blindness, or even dying prematurely. But the fact is that it is still something to monitor and be careful about because diabetes is nothing to fool around about. Another issue with polyuria is that some folks with diabetes may have a problem with their bladder in that they may only urinate a little bit, but still have the urge to go. Developing the loss of controlling your bladder can be the result of a urinary tract infection, leaking of urine, and possible fungal infections. Infections such as these can also lead to frequency of urination. This occurs more frequently in folks who are older. You don’t want to have issues with your bladder, right? Of course not! But how you react to your diabetes is a big deal because if you leave it untreated or don’t control it, the sugar will affect your bladder as it builds up in your body tissues. And as it worsens, it will also affect the nerves that surround your bladder. At this point you may wind up with a neurogenic bladder which is a bladder that is dysfunctional. I have diabetic neuropathy and have numbness in my feet. 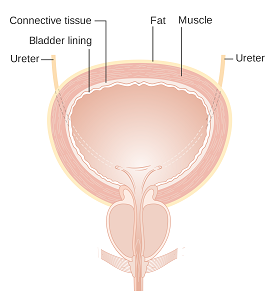 The neurogenic bladder is similar to neuropathy in that your bladder cannot empty fully because of the nerve damage. It’s for this reason that controlling your blood glucose and diabetes is so vitally important! If your frequent urination is definitely from diabetes, then you should be consulting with your doctor about every specific detail about what’s going on with you. The doctor will most likely help you get the diabetes under control because left untreated it’s going to cause many more problems down the road unfortunately. It’s best to deal with and treat these things earlier in life because it is much tougher to put up with at an older age. Bladder issues, diabetes, UTI’s and such can occur more often as you age. The reason might be obvious; because diabetes results in damage to your nerves that control your whole urinary function and system. This should obviously be a no-brainer. Control your diabetes in the first place. It may not be easy but it’s essential for not only polyuria, but for your overall health. It is also kept in check by following the proper diet and by exercising. You’ve heard this a million times and may be tired of hearing it, but the fact is that diet and exercise go together and always will so get used to hearing it. For issues like this, you may want to see an endocrinologist for additional help in managing and controlling your type 2 diabetes in an effective manner. Always make sure that your family doctor is involved with everything and every other doctor that you see. It might be a good idea to see your urologist as well. 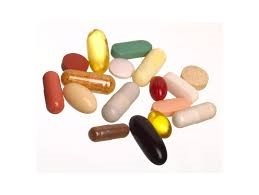 You will most likely be put on medications which none of us like taking. But by changing your lifestyle you can make an enormous difference. Medications are just a band-aid effect for treating problems. If we all ate healthy and exercised at least 30 minutes everyday, most of our health problems including diabetes and frequent urination would disappear. You can have an overactive bladder that will disrupt your sleep. The same thing can happen with diabetes and high sugar levels. The last thing you need is to go without sleep. It’s literally a killer. You need your 7-8 hours of restful sleep every night or your body will begin to break down. The fact is that for the most part the urine in your body increases in concentration and also lessens at night which will generally mean you get get your good night’s sleep without sleeping next to the toilet! The urge to go several times is there with diabetes and an overactive bladder. There are, with some folks, times when they don’t make it to the bathroom quick enough. You can keep something close to your bed such as baby wipes or you might consider sleeping on top of something such as a towel or another absorbent material, just in case. A good idea is to not eat or drink anything to close to bedtime. One thing that you want to avoid for sure is caffeine because it not only keep you awake, it will give you the urge to pee even more because it’s a diuretic. Excessive thirst might not be a good indicator of diabetes. Now I didn’t say that it wouldn’t BE an indicator. It could, but there are so many other symptoms that could indicate type 2 diabetes. Many times you may not see it coming. It’s like a ninja waiting to strike! Sometimes you just drink a lot during the day and it could be to prevent dehydration from being our on a hot day or what have you. But if you are constantly thirsty and it’s not what you normally drink and for an extended period of time, then it may be time to have it checked out. It’s always better to be safe than sorry and have something such as excessive thirst checked out. With polydipsia, it can be one of the earliest symptoms of diabetes to appear and is linked to “dry mouth.” It is because the feeling of thirst comes on so slowly that it hard to diagnose until and unless other symptoms begin to appear and by then you could be very dehydrated. Diabetic ketoacidosis is dangerous and it is a condition that where natural acids in your body build up and can lead to failure of your organs, coma, and possibly dying. 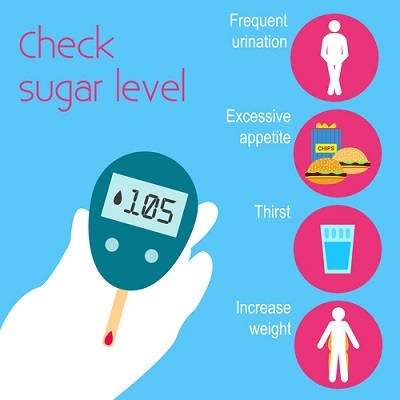 DKA can be caused by dehydration and with severe dehydration your blood glucose levels raise even faster because your kidneys are not producing enough urine because of a long period of dehydration. This means you cannot excrete enough excess glucose. You do want to avoid and prevent his from happening! Frequent urination with diabetes is unfortunately too common. But it is a symptom of diabetes that affects your life. There are things you can do, but of course controlling your diabetes and blood sugars are the best course of action. This is true with any symptom that you experience with diabetes. Please share on social media below and forward this to others who need help and please leave any questions or comments you may have below. I would love to interact with you. Thank you for reading and I appreciate it! Milk Thistle for Diabetes-Learn Why it is Powerful Against Diabetes! It is an important topic that everyone should read about. I did not really have any basic information on diabetes. This article explained me everything that I have to know about diabetes. I learned a lot about insulin and that has a main role on having diabetes. And also about frequent urination and how it should be taken care of in early stages. Thank you much for this information. Frequent urination is something that can be very annoying and possibly serious if it’s a symptom of diabetes. The issue is that you want to know if it does come from diabetes and not another condition. That’s why these facts are important to know. You should never ignore anything that is not normal. The sooner you address and know what it is the better. Oh no, thank god I have no diabetes. I have some friends that suffer from that disease. Reading your post made me tremble with fear. What a terrible health situation. I will be more concern about my diet from now own. I will share this post with my friends, I know they will feel better. It’s good that you don’t have diabetes because peeing all the time can get to be really annoying and disrupt your life. This is not to put fear in anyone, just to sit up and take notice to know any symptoms of diabetes. Frequent urination is only one symptom but can be accompanied by many others which are far more serious. Hi! This helped me understanding my concerns of frequent urination. I was a little concerned because I have to use the toilet quite frequently. Now I learned a sign of diabetes would be if I had to urinate several times during the night, which isn’t the case. Then you say 6-8 times is normal for healthy people and this is about the number I have to use the toilet at the moment. Urinating 6-8 times in a 24 hour period is an average. Everyone is different. So If you were going a little more or less than that I wouldn’t think it would be a concern. I do get up at night but only once now. It used to be 2 or 3 times and that can really be frustrating. As I get my diabetes and blood sugars under control, I can see the improvements. Rob, thanks for an interesting article, which kept me reading to the end. I too was diagnosed with Type 2 and I do understand the frequent urination at nights, followed by being exhausted in the morning to function. Yes, I agree with you, on the days when my blood sugar levels are closer to the normal range or is normal, then I notice I may urinate once per night. These nights are glorious for me. I would also like to point out here, if you don’t mind Rob, that a lot of time those of us who are diabetic, eventually suffer from high blood pressure and cholesterol and some of the medication for high blood pressure is sometimes the reason for frequent urination. Rob, do you notice that when you have a day of highly processed foods and not enough whole foods and vegetables, then you urinate a lot at nights? You’re welcome! I’m glad you enjoyed my article. Frequent urination along with so many other issues is caused by diabetes. When I do have my blood sugars in the normal range I only get up once a night but if I differentiate with my eating habits, then it’s a different story. I happen to agree with you that high blood pressure and medications can absolutely cause frequent urination as well. There can be many other reasons for frequent urination as I’m sure you read. I try to stay away from processed foods but yes if I sometimes have them I notice the difference. The bottom line is to follow a healthy diet and keeping those sugars down will decrease the amount of trips to the bathroom.